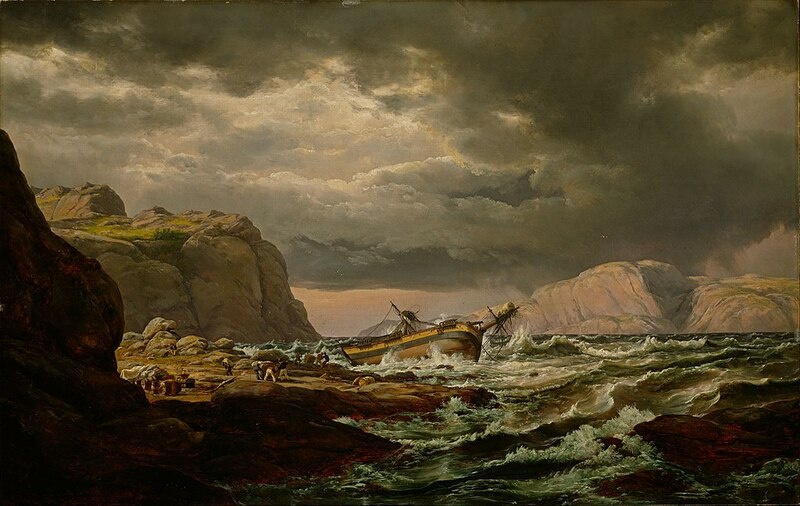 Johan Christian Claussen Dahl was a 19th century Norwegian artist, in fact, he is often described as “the father of Norwegian landscape painting”. 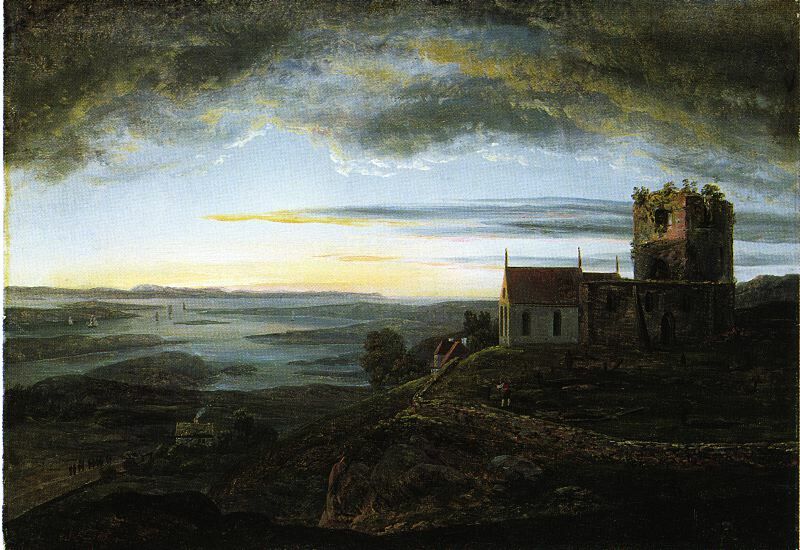 This friend of Caspar David Friedrich‘s is considered the first great romantic painter in Norway and the the founder of the “golden age” of Norwegian painting. 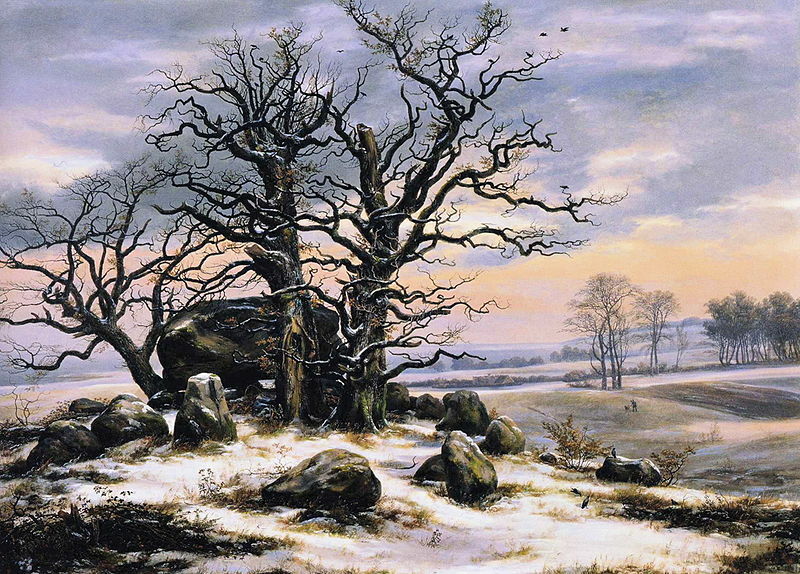 Since he lived and worked in Dresden, Germany, for many years, he is also considered part of German romanticism. Apart from being an outstanding artist, he was very active furthering and supporting art and culture in his home country, co-founding, for example, the Norwegian National Gallery and other major art institutions in Norway, and working for the preservation of Norwegian stave churches and the restoration of the Nidaros Cathedral in Trondheim and Håkonshallen in Bergen. 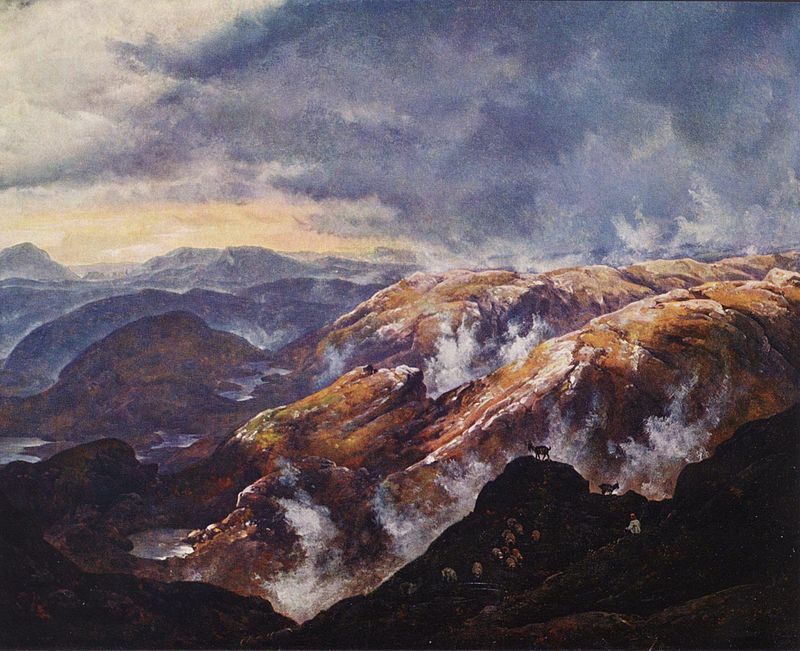 Born on 24 February 1788 in Bergen, Norway, J.C. Dahl’s own country, its rugged sea coast and equally rugged mountains, forever proved to be most the inspiring of all landscapes for him, although he traveled far and wide and spent many years of his life outside of Norway. He held that a landscape painting should depict a specific view as well as say something about the land’s nature and character. One has to wonder how much a landscape forms the people who live in it, and how much of its greatness is reflected in the greatness of its history as much as in the life and work of its current inhabitants. Makes one think, doesn’t it? Did my youth spent in the woods, or by the seaside, or in the mountains, or on the plains, or in the city, shape who I am today, maybe even more so than the influences usually summed up as nature and nurture? This certainly seems to have been the way J.C. Dahl felt. 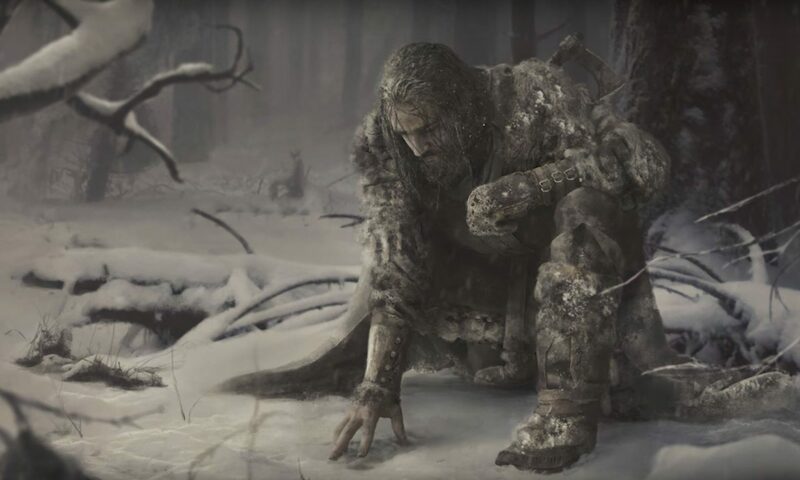 While living in Germany or travelling to Italy, he said he was missing the “real thing”, something he could find in his mountainous homeland only. Consequently, he felt himself being a “more Nordic painter” with a “love for seacoasts, mountains, waterfalls, sailboats, and pictures of the sea in daylight and moonlight.” Must have been in his blood. J.C. Dahl died on 14 October 1857 in Dresden, Germany and was buried there three days later. 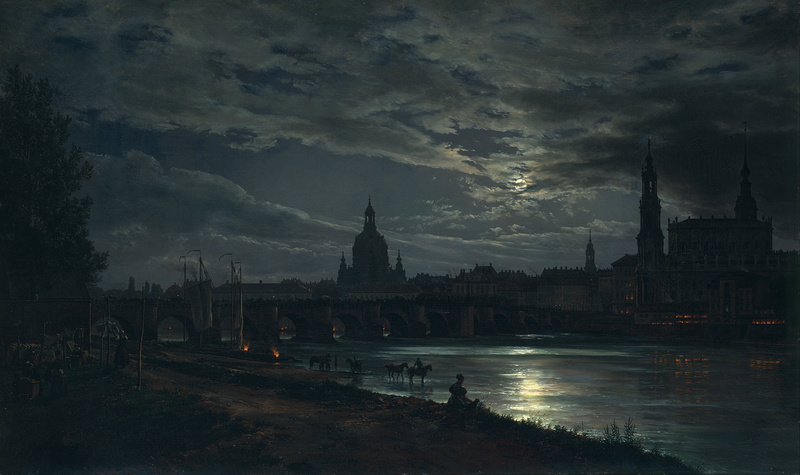 Dresden is also the city shown in the featured image; here the uncropped painting. Haha… I went to school with a girl by that last name and was wondering about the family, too, and her connection with the famous Dahl’s. No humor in this Dahl’s art though, it seems, be it ever so morbid, but hidden wisdom might show in both. How’s your dear Lilly doing after her surgery? Lulu has had 24 hours of undivided attention! Wonderful display and explanation of Dahl’s work! I especially like the composition of the bare tree in the frosty landscape.